Owl Be Darned! 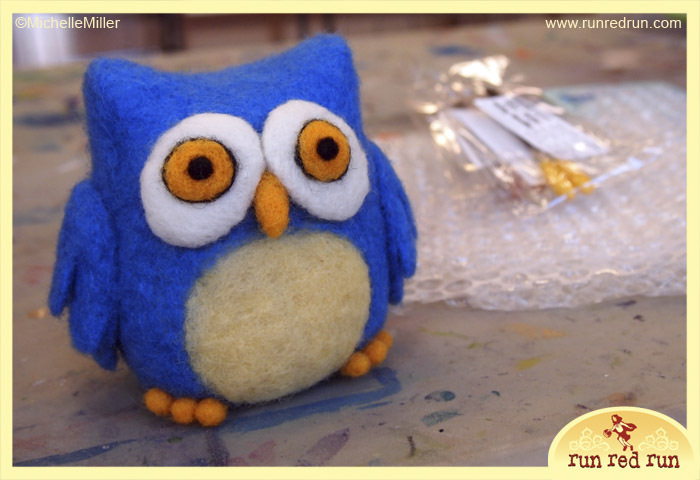 Needle Felting Class Was A Success! 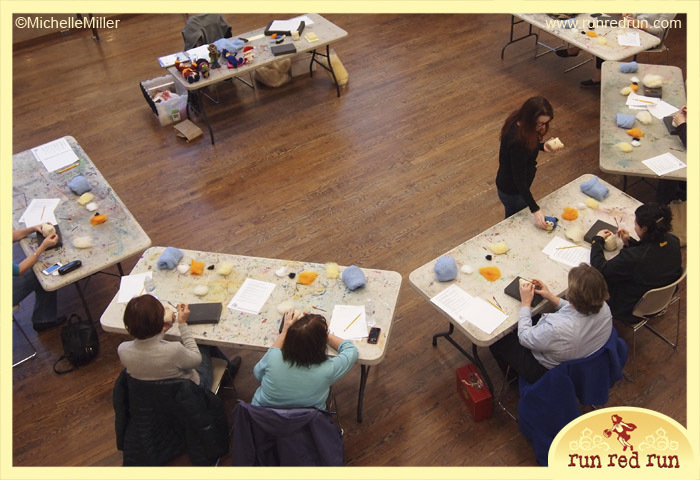 The other day, I taught a needle felting workshop at Sweetwater Center for the Arts. 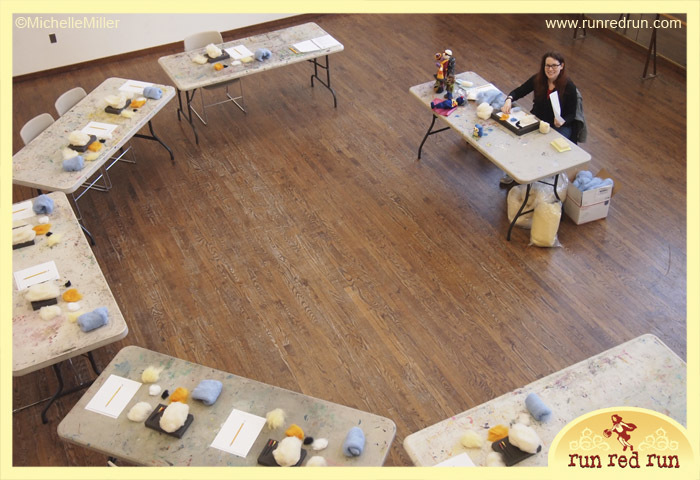 We had a good turnout of enthusiastic participants who learned the basics of needle felting in one whirlwind, three-hour class. 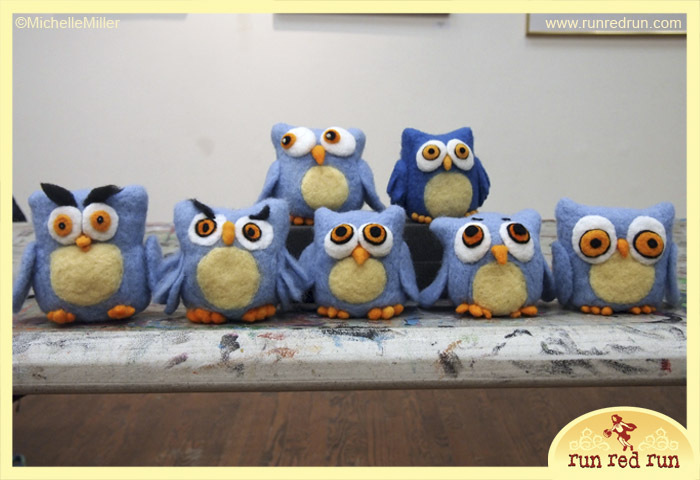 For the workshop, I created a stylized owl and the group followed along, each felting their own owl. Everyone did a fantastic job and put their own creative spin on the project. I’m super proud of my students and the amazing job they all did. 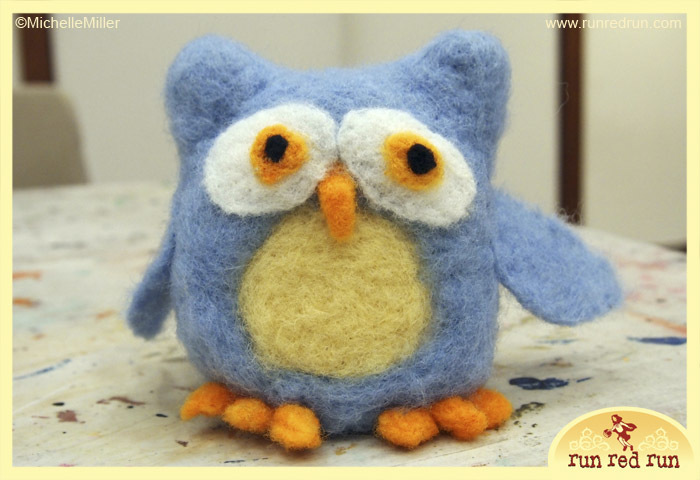 Since the workshop was such a success, I’ve already got another one scheduled for May — where we’ll be felting a bear!